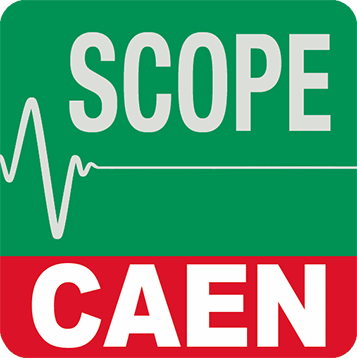 CAEN has developed a complete family of digitizers that consists of several models differing in sampling frequency, resolution, number of channels, form factor, memory size and other parameters. The benefits of the digital approach are great stability and reproducibility, ability to reprogram and tailor the algorithms to the application, ability to preserve the information of the signal along the entire acquisition chain, flexibility, better correction of baseline fluctuation, pile-up, ballistic deficit, etc.. All in one board. The digitizers have the ability to accept two consecutive triggers very close to each other thanks to the multi-buffer memory management: there is no dead time between an acquisition window and the next one. It is even possible to accept two triggers for which the acquisition windows overlap. Dead-timeless feature is not supported by all digitizer models and all the firmware. Each channel of the digitizer is able to implement a digital discriminator that generates a trigger when a certain condition is met; in the basic implementation, this is just a programmable threshold which is continuously compared to the digitized input. More advanced algorithms (digital CFD, timing filters, etc.) 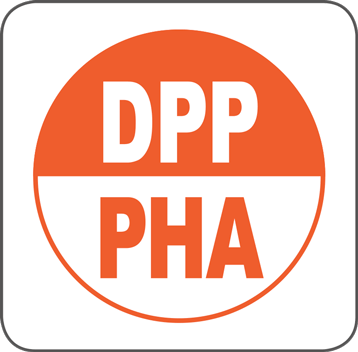 are implemented in special DPP firmware. The individual channel self-trigger can be used to generate a global trigger for a simultaneous acquisition of all the channels within a board, can be propagated to the front panel connectors in order to make a multi-board triggering logic or can be used locally for an independent acquisition channel by channel (DPP mode only). It is also possible to combine the individual self-triggers to create a configurable coincidence or anticoincidence logic, either within the board or across multiple digitizers. Distribution of a common clock reference in order to have the same sampling clock on all the ADC channels. CAEN digitizers feature a programmable PLL able to generate the sampling clocks locked to an external clock input, whose distribution can be done in parallel from a common source, using a fan-out, as well as through an in-out daisy chain with the ability to use the first board as a clock master (VME models only). Alignment of the time stamp associated with the triggers to allow off-line reconstruction of the events read from different boards. This can be done by using an external signal as well as through an in-out daisy chain. Distribution of the triggers from channel to channel and from board to board, according to a certain trigger logic. Each card has different trigger sources: external TRG-IN from the front panel, software trigger and channel self-triggers. All these triggers can be combined in order to make coincidences, majorities, global triggers and other functions. The digitizers are designed to provide high rate data transfer to a computer or an external data processing unit. CAEN digitizers have a bandwidth of 30MB/s in the case of the USB, about 80MB/s with CONET port up to more than 120MB/s for the VME with 2eSST. The communication interfaces allow the user to operate post-processing data analysis. The flash ADC technology has improved significantly in the last decades providing always higher resolution and faster sampling speed. The use of flash ADCs in acquisition boards gives the possibility to convert the analog signal preserving the information required by the experimental activities and the applications of nuclear techniques. Digital acquisition devices described in this section represent multi-channel waveform digitizers providing time information and digitized signal waveforms through fast communication interfaces, allowing the user to operate post-processing data analysis. The waveform digitizers integrate also field programmable gate arrays (FPGA) which are able to acquire the information from flash ADC in real time and process it. Algorithms can be programmed, and their parameters can be adjusted to different experimental conditions. Those algorithms may be the digital replacement of the traditional analog signal processing, so that the waveform digitizer embeds different functions in one single board. In particular, it is possible to replace timing filters such as Constant Fraction Discriminators, shaper amplifier, Peak Sensing ADC, QDC, TDC, etc. Most of the algorithms are implemented at firmware level inside the FPGA, which also manages the overall acquisition and data transfer. Data is read by a software, which is able to both program the digitizer and to perform the acquisition. Most advanced software also provides specific analysis tool, such as peak fitting. The digitizer is able to acquire, digitalize and record the input pulse within a programmable time window. Simplified zero suppression functions can be configured. 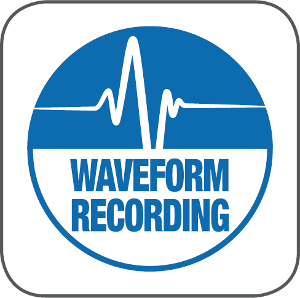 All CAEN digitizers are equipped with their proper firmware for waveform recording. 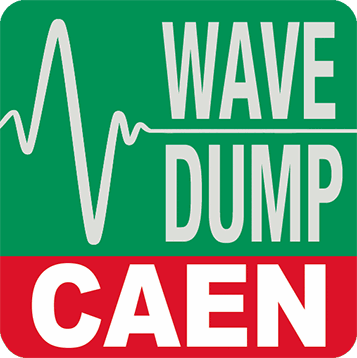 CAENScope and WaveDump software are available to manage the acquisition. Data can be saved in real time for offline analysis. Furthermore, the 742 and 743 families, which come with two different switched capacitor chips, are well suitable for high precision time measurement of fast signals. WaveDump and the dedicated WaveCatcher software (free download) can control the acquisition of the two boards respectively. a set of significant information like energy, pulse shape and precise timing. Pulse Height Analysis for gamma ray spectroscopy applies to voltage signals coming from HPGe/Si detectors and Scintillators coupled with Charge Sensitive Preamplifiers. Works with independent channels event acquisition and in time stamped list mode. Energy spectra are built by the supported software like the new CoMPASS and MC2 Analyzer. Pulse Shape Discrimination for gated charge integration and gamma-neutron discrimination is suited for current signals coming from Scintillators, Gas tubes, SiPM and PMT. Works with independent channels event acquisition and in energy & timing list mode. Features digital CFD and timing interpolation for high resolution time information, as well as pulse shape discrimination. Energy spectra are built by the supported software like the new CoMPASS and the DPP-PSD Control Software. Charge to Digital Conversion implements a Gated Integrator receiving signals directly from the detector (no charge preamp required). Suited for Scintillators and Gas detectors with medium-slow decay time, but can also work with faster detectors such as LaBr3. Designed for high channel density digitizers, can be used for multi-channel acquisition in Detector Array systems. Features independent channel acquisition with self-gating capability for the charge integration (no additional delay lines, no external discriminator). Energy and time stamped list mode provides timing information as well as energy information for spectra calculation. Zero Length Encoding for advanced zero suppression works with a common trigger and simultaneous acquisition on all channels. The digitized waveforms are transferred in compressed mode by suppressing baseline and empty channels. Dynamic Acquisition Window is suited for zero suppression with trigger-less acquisition systems. Works in waveform mode and independent channels event acquisition dynamically stretching the acquisition window (record length) to fit the actual input pulse duration. 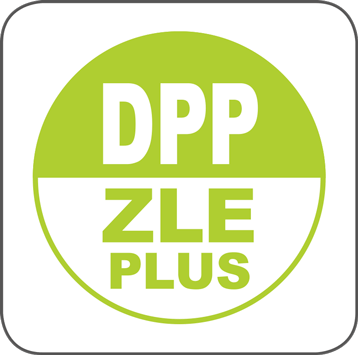 This White Paper explains the possibilities offered by Digital Pulse Processing algorithms in Nuclear Physics applications: Pulse Triggering and Timing Filters, Pulse Height Analysis (DPP-PHA: Digital MCA), Charge Integration (DPP-PSD and DPP-QDC: Digital QDC), Pulse Shape Discrimintion (DPP-PSDN: Neutron-Gamma Discrimination), Zero Length Encoding (DPP-ZLE: Zero Suppression), Dynamic Acquisition Window (DPP-DAW: Dynamic Zero Suppression), Time measurements. In this application note, we describe the capability of the Digitizer series x720 (12 bit, 250MS/s) to perform neutron-gamma discrimination based upon the digital pulse shape analysis. The digitizer runs the preliminary version of the DPP-PSD (Digital Pulse Processing for Pulse Shape Discrimination) firmware for the digital charge integration and neutron-gamma discrimination. AR2548 – An integrated mobile system for port security. An integrated mobile system for port security is presented. The system is designed to perform active investigations, by using the tagged neutron inspection technique, of suspect dangerous materials as well as passive measurements of neutrons and gamma rays to search and identify radioactive and special nuclear materials. Presented at the Second International Conference on Advancements in Nuclear Instrumentation, Measurement Methods and their Applications(ANIMMA2011), ICC-Ghent, Belgium 6-9 June 2011. AR2611 – High Rate Read-Out Of LaBr(Ce) Scintillator With The CAEN V1720 FADC. The energy resolution of a LaBr(Ce) detector has been studied as a function of the count rate up to 340 kHz by using a 12bit 250 MS/s V1720 digitizer. The time resolution achieved by processing off line the digitized signals has been also determined. The results are compared with the ones obtained by using standard NIM electronics. Presented at IX Latin American Symposium on Nuclear Physics and Applications (IX LASNPA), EPN-Quito, Ecuador 18-22 July 2011.  AR2610 – Special Nuclear Material Detection Studies With The SMANDRA Mobile System. The detection of special nuclear material has been studied with the SMANDRA mobile inspection system used both as a high sensitivity passive neutron/gamma spectroscopic tool and as an active inspection device using tagged neutrons. Presented at IX Latin American Symposium on Nuclear Physics and Applications (IX LASNPA), EPN-Quito, Ecuador 18-22 July 2011. The detection of special nuclear material has been studied with a mobile inspection system used both as a high sensitivity passive neutron/gamma spectroscopic tool and as an active inspection device using tagged neutrons. The detection of plutonium samples seems to be possible with passive interrogation, even for small samples. The passive detection of uranium is much more difficult because of the low neutron yield and of the easiness of shielding the gamma ray. However, we show that active interrogation with tagged neutrons is able to provide signatures for the discrimination of uranium against other heavy metals. The aim of this application note is to show the principles of operation and the results obtained in high resolution gamma spectroscopy using CAEN Digital Pulse Height Analyser, a dedicated system based on 724 digitizers and DPP-PHA firmware. In the present Application Note we report the results obtained in internal tests of the MCA DT5780. We are going to show the resolution of the energy measurement of gamma and X rays obtained with a HPGe detector. The wide spectrum of energy available allows also to obtain a preliminary test of the linearity of our MCA. The aim of this application note is to compare the energy resolution of two gamma ray spectroscopy setups based on two different acquisition chains the first uses an analog V792N QDC, the other based on a 12 bit, 250 MS/s V1720 digitizer with a Charge Integration Digital Pulse Processing (DPP-CI).